Yesterday was Earth Day, and many many folks went out and Marched for Science. The photos show those folks mostly having a great time, a very good thing. We sent two marchers, both Spice and Smidgen marched in St Paul; the planners were expecting around 6,000 people; the cops later estimated over 10,000. Fox News is reporting 50,000. Interesting. I was, of course, doing my bit; holding down my keyboard. Oh, and the farm. Old-timers here know I comment regularly on the NYT, as Greenpa; and WaPo (under an older name I'm too lazy to change). Sometimes folks like what I have to say. And that is the case right at the moment. The New York Times Magazine is currently running their Climate Issue. That is a section you can reach without hitting a paywall; you can see what they're up to; what the NYT temperament is at the moment. If you're not familiar, they will let you read 10 articles a month free. On that page you will find an article on How A Warming Planet Drives Human Migration. Whole populations attempting to "migrate" has been a major topic in the past couple years. Is climate change the cause? Almost entirely. At the moment, my comment is the #1 Reader Pick. (If you should want to add your vote, I would not object.). I'm getting some good comments, too - even no trolls, yet! "I was a speaker at the climate change conferences in 1988 (DC) and 1989 (Cairo) - and can tell you that all of this was fully predicted by us, back then. Also water wars and the rise of demagogues and authoritarian governments. "It was not only predictable; we predicted it. A fantasy scientists often adhere to is that if they can explain the situation clearly, then humanity will of course respond with wise action. Ah, the irony. "It is NOT that we do not have persons provably able to give good advice and predictions; it is that world-wide, our joint decision making processes are universally broken. 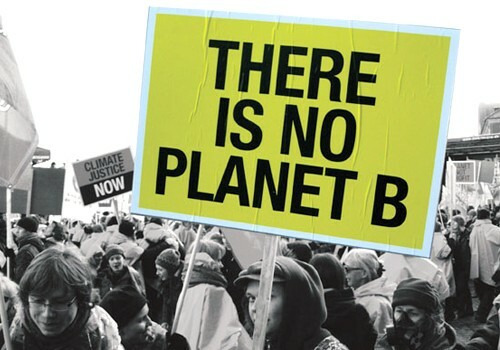 We do not have one government of the planet capable of taking significant action. "We know what to do. We just can't do it. That - is the problem." I did, after Sandy, say bluntly "WE TOLD YOU SO." This is kind of the same thing; but a bit more polite (I believe in polite - first. Rude when necessary.) Interesting that my rude comment on Justin Gillis' "oh we can't be sure" article - and all other comments, many rude - have been deleted from the archives. But the story is still here. Interesting today that most of the NYT readers looking at that article have chosen the I -told-you-so viewpoint to recommend. It's not an optimistic one. Which may be an optimistic observation, actually; if we're ever going to get off our collective butts and take serious action, the first thing that has to happen is we have to lose the complacent notion that somebody else will fix this. The March For Science showed there are still an abundance of sane and passionate humans out there. Keep that in mind. Join them; and remember your Newtonian Physics: momentum - takes Work to stop or alter.